A group of surveillance cameras, mounted on a metal pole, point in different directions. The surveillance equipment will protect the property, and record entrances and exits, from all sides. 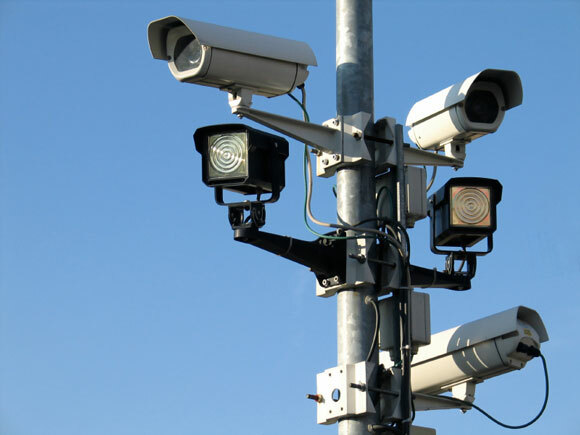 If unwelcome activity occurs, the surveillance equipment will provide needed evidence.